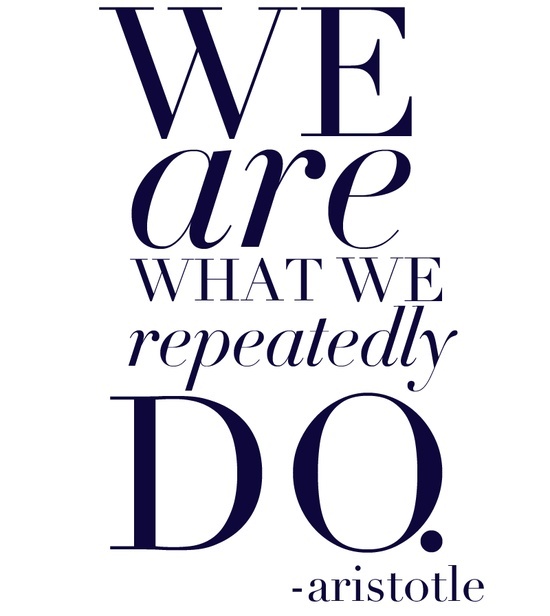 Thought for the week - simple but impactful wisdom from Aristotle. A reminder to think about our daily habits and routines and realize the things we do that work against who we want to be. Awareness is key to change.